Charter Services in Charleston, Oregon. Master Captain Curt Shoults who runs the Charter operations said: “We are breaking records already this year with the number of lingcod being caught”. This year in 2018, 20-pound lings are not uncommon, and even 30 pounders show up at times. The word is out, that deep sea fishing in Coos Bay/Charleston, Oregon is the best fishing in America, and the best fishery on the Oregon Coast. Captain Curt said: “we hear customers say fishing with us is equal to or better than in Alaska”, and much closer and less expensive. 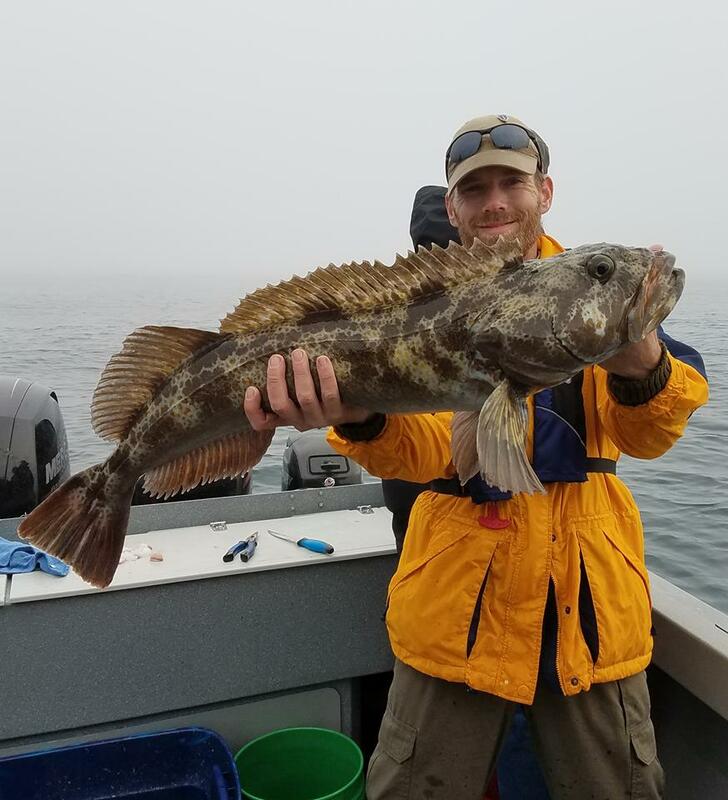 The bottom line is that customers want to catch “bigger fish”, the trophy size lingcod, not just the smaller rockfish around Simpson Reef and Baltimore Rock. That is why Pacific Charter Services take customers into deeper water where the larger lingcod nest. Captain Curt will move the boat to different locations as needed until he finds what he’s looking for, but he generally knows right where the “big ones” are, and at that point it’s game-on. Pacific Charter Services also does a great job of accommodating families with children that visit every year, and love seeing the kids catch the “Trophy Lingcod”. Time after time, families arrive back at the dock with big smiles and even bigger stores to tell. Lots of pictures are taken after each trip in front of the picture board outside the charter office. The other unique thing about Pacific Charter is the 6-person maximum per trip. People generally do not like the “party boat” type of charter trip, where there are 15-20 people packed onto a boat. Having no more than 6 customers fishing with two crew makes for a much better fishing experience, and customers seem to appreciate it. Captain Curt will also filet and bag the customers catch at the end of each trip, at no additional charge. 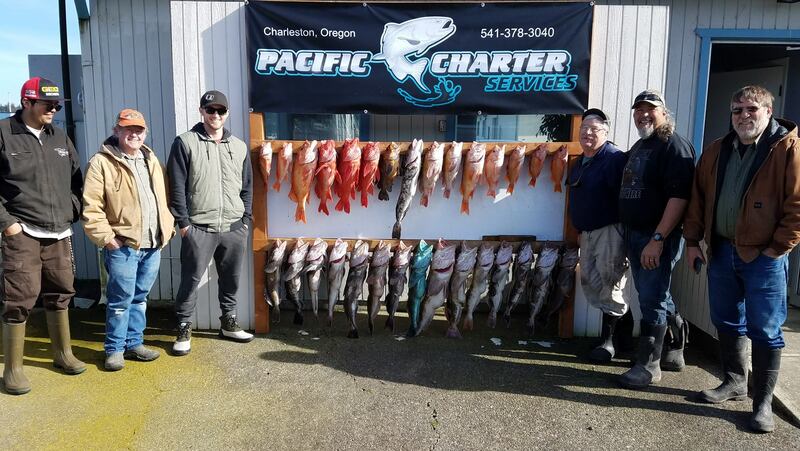 Keep in mind, the crabbing out of Coos Bay is fantastic, and Pacific Charter Services offers a crabbing add-on option, so customers who wish to crab can add it their Deep-Water Lingcod trip for a nominal fee. When Captain Curt isn’t fishing on off days, he’s tying leaders, making pipe jigs, and making sure customers get the finest custom tackle. The art of using the right tackle is something Captain Curt seems to have. When he’s not fishing, he wishes he was fishing. His love for fishing is never-ending, and customers pick up on that and appreciate the tips and tricks they learn while on the boat. For the greatest of deep sea fishing adventures, give Pacific Charter Services a call right away to reserve your spot. Pretty certain you won’t be disappointed. Call us at 541-378-3040.